Does God have a plan for mankind? Has He revealed it to His people through the words of your bible? God laid down a plan, a chronological plan for the whole of mankind that is sprinkled within the pages of your bible. In Ancient Israel, during the Exodus led by Moses, God instituted festivals, or feasts given to the people of God led out of Egypt by His chosen messenger, Moses. These festivals were given to the nation of Israel and most of the religions of today discount these as “Jewish”, but fail to understand that these were given by God to humanity as a benchmark, or guide to His plan for all of mankind's redemption. I will look at them in this message as “timelines of prophecy” or what God has done for man, and what He intends to do in the near future. When our great and awesome God gave them to Israel, the people did not understand them in their spiritual application, but followed them as rituals for what God expected of them. They were physical representations to them that were carried out without understanding of their final outcome and what they represented. Each of these days pointed to one event, the coming of the Messiah and His redemption of all the earth and His greatest creation, man. In the spring, begins the first of the Feasts, called Passover. In the Exodus, the Israelites were spared the death angel killing their first borne by striking the door post and the lintels with the blood of a lamb. You can read about this in Exodus chapter 12. Sadly, Israel has never gotten beyond this act of sacrificing a lamb on Passover and were observing it during the lifetime of Jesus Christ. But the life and death of Jesus Christ changed this observance for all time. Upon the first day of the week, when the women came to the tomb to prepare the body for burial, they found the tomb empty and went and told the disciples who ran to find out if this event was true. Afterwards, Mary Magdalene was crying in the garden area of the tomb, when Jesus appeared to her. Why was this significant, and why did Jesus not want Mary to handle Him? In the temple on that morning was another event that Jesus was preparing to fulfill. As this action provided the first fruits of the harvest, Jesus was to ascend to the Father to be the first fruit raised from the dead. The Bible nowhere indicates that the priests understood the ritual they were performing on Saturday evening when Jesus Christ, the archetypical Wavesheaf, was "harvested" from the material world by being resurrected from the dead. On Sunday morning, as the firstborn of many brethren, He was lifted into and through the heavens to God's throne to be accepted by Him as the sacrifice for our sins and as our High Priest. Seven weeks from the time of the Wave Sheaf Offering is the Feast of Pentecost. It is the last Holy Day observed in the spring. When Jesus was on this earth after His resurrection until the time of His ascension to rejoin His Father at His right hand, He commanded His disciples to tarry till He send them the “Comforter”. Pentecost is unique among the holy days because it is the only annual feast determined by counting. All the other festivals God commands to observe on certain dates on the Hebrew calendar, but we must count for Pentecost. Whether we count fifty days or seven weeks or seven Sabbaths from the day of the wavesheaf offering, we must still go through the exercise of measuring the time to keep the feast properly. Why? God does nothing without a purpose, and His purposes always include giving His people additional instruction for their ultimately eternal benefit. Counting to Pentecost is no exception. God gives us many numbers in His Word to give us a season to expect His return and unfolding events. No where in this message, can anyone proclaim that God will do this or that on a specific date. To set dates in stone is to go against what God told us that “no man knoweth the day or the hour, but my Father only" but it can give us a direction to know that events are lining up with what His Word proclaimed. So let’s recap the symbolic meaning of God’s plan for man that is replayed during the springtime of each year of man’s existence here on earth. Remember, these were symbolic in the days of Israel, but have been made real, as Jesus Christ has been crucified and shed His blood for the remission of sins for all who believe. Passover symbolizes our redemption from this world and the forgiveness of our sins. Unleavened Bread is a week long observance that follows Passover day and typifies our lifelong task of coming out of sin and putting on the new man in sincerity and truth. We begin to count on wavesheaf day, which occurs during this period, and the fifty days extend to Pentecost, a festival that symbolizes the harvest of God's firstfruits, as the church was born on this day. These feasts days are God’s Spring time of prophetic time markers for the redemption of His creation. Those plans have been completed. Jesus has died and rose again. We who have believed have had His blood applied to our lives and we proclaim a memorial of His death and resurrection with the Lord’s supper of the bread and the wine until He returns to gather His church unto Himself. We seek by the power of the Holy Spirit to remove sin from our lives, as portrayed by the Feast of Unleavened bread. Symbolically, we press on to become conformed to the image of the only example we have for being accepted by the Father into His presence, His Son Jesus Christ. We have before the Father, our high priest and the first fruits borne of the dead through resurrection, our Lord and Savior, and we have been given the power of the Holy Spirit to be our guide, our counselor, and the power within us to complete that transformation. Between the spring and the and the fall, is the coming summer months that the harvest grows. It is the time that we are now experiencing and fast drawing to a close. We are in the age of grace, the age of the church upon this earth. During this time, many trials come upon any believer, and amongst us grow the weeds amongst the harvest…called tares in your bible. We that have discernment and are following the ways of our God and Savior, know that evil abounds all around us. The tares or weeds, are right among us in the church. During this summer months of the Age of Grace, God allows the wheat and the weeds to grow together, but will separate the true from the false. When will that be? As the spring time markings of the salvation of our God, brought about by our Savior Jesus Christ has been completed, and we are in the midst of the growing harvest, we await the completion of God’s plan for man, as symbolized by the Feasts given by God and observed in the fall. Symbolically, we are on the cusp of the end of days that I believe, are experiencing right now. Let us now look at the spiritual meaning and application of these prophetic time markers that are called God’s Holy Days beginning in the fall. The first time marker is the Feast of Trumpets. If you study your bible, you will notice that the trumpet was used for many points of communication to the people. Each trump was blown in succession in the wilderness, and during the time of the Temple of God in Jerusalem. In the wilderness, the first trump or the left horn was blown to alert the people, saying “Heads up” Attention, If you will. . The right horn, or the second blast was designed to get the people ready to move. The last trump was used to signal, “Move out”…they were also used in battle as signals. According to Jewish tradition, the first trump is blown with the left horn of the ram Abraham sacrificed instead of Isaac (Gen 22:13). This is blown at the end of the spring time, or Pentecost that we just described above. The last trump is blown with the right horn of the ram. This is blown in this first feast of the end of the age of Grace, or the rapture of the church. The ram represented Jesus. He will sound both the first trump and the last trump. In the book of Revelation, John hears the sound of a loud trumpet. John hears a loud trumpet and turns to see the Lord of Glory, our Savior, Jesus Christ. 50 “Now this I say, brethren, that flesh and blood cannot inherit the kingdom of God; neither doth corruption inherit incorruption. A trumpet was also used to announce the coming of the KING. This trumpet that each of the apostles heard was our God, Jesus Christ sounding His coming with a shout that sounds much like a loud trumpet blast and is what John and Paul both heard. Another interesting fact that has been proclaimed by numerous writers, is that the Feast of Trumpets is the beginning of the secular New Year and is called Rosh HaShanah. This was a well know feast day that any Jewish man would have recognized immediately, as it was part of their culture, and their very lives. Could our Lord be giving us a clue to His coming? What day, what year, we don’t know. We cannot say with certainty, but there has nothing to happen before the Lord breaks through the clouds and proclaims with a loud trumpet call, “COME UP HERE.” Today is the second day of the Feast of Trumpets (9/11/2018) as it is two days in Jewish culture..will Jesus come today? He didn't come yesterday, but will He come today? Answer: no one knows...but we keep watch, as one of these coming years, which could be today, or next year or the year after that, then Jesus will come, and He told us plainly, that we are indeed, in the very last days of the LAST DAYS. “ So when all these things begin to happen, lift up your heads, for your redemption draweth nigh”....Jesus will come, and to many, He will come as a thief when they least expected Him. Let me make one bold statement right here. 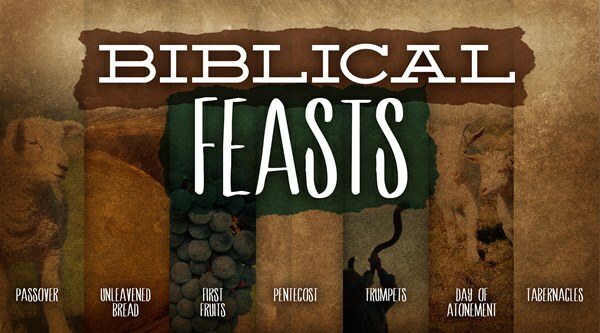 If God has been fulfilling His plan for man in the past, on the very day of these Ancient God given time markers, called God’s Feasts, is it not plausible or even wise to conclude that God will continue to do the same for the fall feast on THE very day? If God has done this in the past, is it reasonable to expect Him to do the same in the fall observances? I know one thing, God does not change, and He gives discernment and reveals truths to His people in preparation for His movement. Our God is a God of order and He gives His people plenty of knowledge found in His Word should they read and understand with their spirits, not with their heads, but with their hearts. DAY OF ATONEMENT, CHRIST'S SECOND COMING? Following on the heels of this aforementioned Feast of Trumpets, are the 10 days of Awe in Jewish culture, or having your name written in the God's book of life...it could very well correspond to the coming Tribulation, when Israel will be tried as silver is refined in the furnace, and many Gentiles will believe along with them, but many will die for that faith. Following on to the end of the Tribulation, is the next observances of the Plan for Man that God has given us in His Word, next is the “Day of Atonement.”. ( at-one-ment with God). Atonement is used in the sense of "a covering," and therefore as a means of forgiving sin. By contrast, in the burnt offering, sin is nowhere seen because it is not part of what the burnt offering teaches. In it, God is satisfied because the offerer has met His requirement through Jesus blood in his life, and by the righteous way he lives his life by following the example of His Lord Jesus. Thus, the offering shows the offerer accepted. 7 “Let us be glad and rejoice, and give honour to him: for the marriage of the Lamb is come, and his wife hath made herself ready. God will literally tabernacle with us for 1000 years and rule the nations with a rod of iron. All will be set aright and return the earth to the time of pristine condition that was in the time of Adam and Eve. Rebellion will be put down, sinners will be eliminated, and Satan will be bound for 1000 years in a bottomless pit. 16 “And it shall come to pass, that every one that is left of all the nations which came against Jerusalem shall even go up from year to year to worship the King, the LORD of hosts, and to keep the feast of tabernacles. At the end of this glorious time when Jesus will reign with righteousness and justice, that Satan will be allowed to be loosened for a short season to tempt all who have been born during the Millennium. It’s almost unfathomable that men and women who have been in a first person relationship with God Almighty will follow this “prince of lies”. The bible says it will be so. Hard for me to imagine, but I can’t imagine Israel in the wilderness going against the miracles of a God amongst them and following their sin nature either, but so it was. Those deceived will come against the Holy City which is the Throne of God our Savior, and fire will come down out of heaven and destroy them all. At the end of this period, when all sin is exterminated, it will prove that man cannot be trusted in his mortal state. God will remove all aliens that are not washed in the blood of Jesus Christ and the remainder will be spirit beings, as God the Father is, and as Jesus Christ is…. as the Church Saints are, so shall all men and women be. But before that is finished, there is one last feast proclaimed by God. In the Bible, it is called the “Last Great Day.”…Great because it will be the final judgment of all unsaved men and women from all of human history standing before a “Great White Throne.”. So ends the time of mankind, and the beginning of eternity...we will be with God the Father and the Lamb in the New Jerusalem and God will dwell with us forever, and ever. How do you become written in the book of life? What is the one work that you must do that will qualify you to be counted amongst the children of God? 9 “ That if thou shalt confess with thy mouth the Lord Jesus, and shalt believe in thine heart that God hath raised him from the dead, thou shalt be saved. God’s plan for man embodied in these time markers of prophecy and fulfillment point to only one Man, the Son of Man….the Son of the Living God, Jesus the Christ. If you have not found this truth in Jesus Christ and His atonement for your sins, and spelled out in these biblical revival messages, I call upon you to let me introduce you to the only name that will lead to eternal life and escape eternal judgment, Jesus Christ, the Son of God.